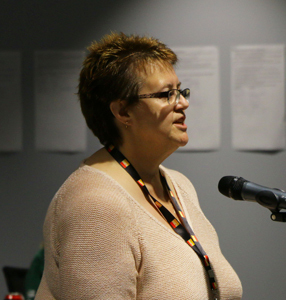 Roseann Strelezki is SGEU's Secretary Treasurer. Submitted photo. Joe Hargrave’s opinion piece in the Daily Herald on Aug. 8 in regard to SGEU billboards asking “Where did the money go?,” offered a very rose-coloured view of the party’s abysmal financial mismanagement over the past decade. That’s why we think it’s important to provide Mr. Hargrave and his Sask Party government a reminder of “Where the money went” as many of their failed policies, incessant waste, questionable decisions and lack of planning, have been conveniently left out of the conversation. When the Sask Party took office, there was a rainy day fund of $1.53 billion in place to “stabilize the fiscal position of the Government to facilitate long-term planning.” Fast forward 10 years, and the province is $17.75 billion in debt, despite having governed through a resource-boom that drew in record-setting revenues. And, now, the government has just authorized itself to borrow $6 billion more. So where did the money go? Let’s start with the GTH land scam. The Sask Party Government paid three times more than the appraised value for land near the Global Transportation Hub (GTH), wasting millions of dollars. Somewhere along the line, millions more also ended up in the pockets of Sask Party business associates. The GTH itself cost $13 million in land purchases, and legal settlements totaled another $11 million. The GTH is $40 million in debt and growing; interest charges on its loan exceed $500,000 a year. And now the Sask Party government is trying to pawn off this waste of taxpayers’ money on local municipalities. Or how about the $2 billion Regina Bypass? At an initial projected cost of $400 million, this albatross has ballooned in cost year after year with no end to construction in sight. Even in the most recent government budget, another $330 million in further capital spending was approved on this failed project. Of course, there’s also the $1.5 billion Boundary Dam carbon capture and storage plant, which cost taxpayers another $20 million in penalties to Cenovus Energy because the plant failed to capture enough carbon for the company. Then there is LEAN. Over $40 million was handed to a U.S. consultant to improve efficiency in health care. That ended up costing taxpayers $1,511 for every dollar saved under this disastrous brainchild. Or how about the 74 per cent increase in salaries and benefits for those who worked in Brad Wall’s Executive Council? Or the SaskPower smart meters, which have a current tab of $52 million when the cost of removing defective meters is factored in? Or the 228 per cent increase in spending on private consultants between 2009 and 2014? Or the $5.6 million paid to unsuccessful bidders on P3 projects? The list goes on and on. What is very unfortunate is the people of Saskatchewan are left with reduced services in education, health care, environment, housing, income assistance, mental health and addictions, post secondary education and much more. Further, municipalities around the province are still reeling from the reduction of millions of dollars from provincial grants-in-lieu, which was downloaded onto local ratepayers. Now that real facts have been brought to this topic, we encourage each and every taxpayer in this province to join our efforts and keep asking all members of the Sask Party the same question over and over until real answers, and not rose-coloured responses, are provided.